1. 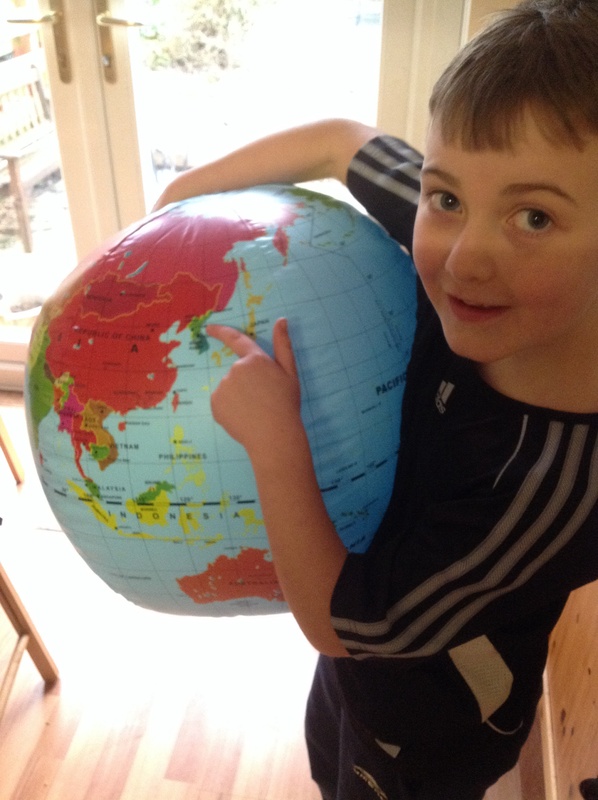 Globe game (use giant inflatable globe) Tell us a fact about a country or find a country beginning with a,b,c…..
2. Read from book “windows on the world” about the legend of the God king in North Korea. After world war 2 Korea was split into 2 countries north and South Korea. Kim il sung became leader of North Korea and made it a communist state. There were lots of Christians in the country at that time but he wanted people to worship him so he pulled down churches and killed lots of Christians and other people that didn’t agree with him. He built a big statue if himself, put posters of him around the country and made people wear a badge with a picture of him on it. His grandson is now the ruler and while he is very rich many of the people in North Korea are starving. School teachers ask children if their parents read from a black book at home? If they say yes there have been times when the parents have never been seen again. Q: what do you the black book is? Bible- it us an offence to have one and you can be shot on the spot if you are found with one. Q: What bible story does this remind you of? Open doors is a missionary organisation who help adults and children who are part if the persecuted church. Read prayer card for Jong-cheol, write a prayer on the back and remember to keep praying for secret believers in North Korea.